Home Official Launch 2008 Official Launch 2008 at the Eureka Towers in Melbourne. Christine Nixon, APM, then Chief Commissioner of Victoria Police pictured with Professor Taylor after the official media announcement. Official Launch 2008 at the Eureka Towers in Melbourne. 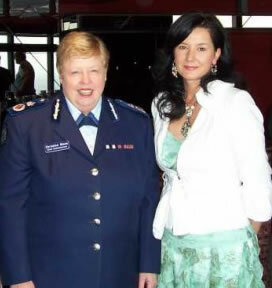 Christine Nixon, APM, then Chief Commissioner of Victoria Police pictured with Professor Taylor after the official media announcement.